DEAR CUSTOMER, WELCOME TO YOUR CORNICE-DIRECT DIY FIXING INSTRUCTIONS. 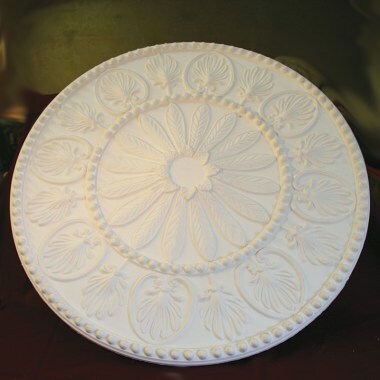 Our mouldings are made in the traditional way with fine casting materials using Hessians and lathes, some even come complete with fixing points. 1) It is recommended that before fitting, to cover the back of the plaster moulding or cornice with one coat of PVA sealant, available from your local DIY store or builder’s merchant. Additionally PVA the area of wall or ceiling the moulding is to be attached to. 2) With cornice - using a string or chalk line, mark (or ping) a line from both corners, then score the wall, PVA this area ready for the fixing adhesive (not supplied) to adhere to when the cornice is attached and drying. 3) Mix your adhesive into a very thick paste, generously trowel along the edge of the marked out wall along the ceiling edge. Please follow manufacturer’s instructions as stated with the adhesive. 4) To ensure the long length of cornice is placed over the adhesive as a straight level length, it is recommended that either small metal “L” brackets or timber blocks are screwed to the wall at the correct level prior to starting work. If the brackets are fixed 5 to 10mm lower than required it is easier to pack up the cornice accurately using small timber wedges over these brackets. 5) Once fixed, complete your cornice using the spare adhesive to fill in any gaps underneath the length caused from uneven walls and any gaps in corner mitre joints, using small tools and trowels or scrapers. 6) Leave to dry minimum of 24 hours before rubbing down, 2 to 3 days before painting. We recommend using a high-quality adhesive as “Fibre-Fix” this is available from our sales in 5-litre plastic tubs, also as is PVA adhesive. If the wall is very uneven and/or the plaster is heavy use screws/plugs to fix. Specialising in fibrous Plaster (Horsehair & Lime Putty-work and Lath & Plaster) Victorian / Edwardian and Heritage buildings, listed and protected properties are our speciality. 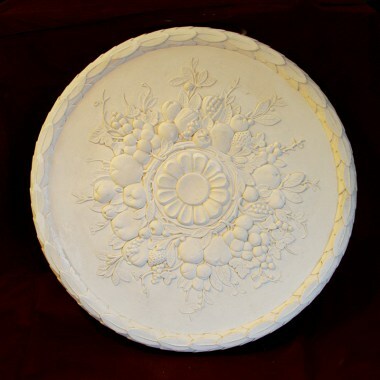 Ceiling Roses, Corbels & Cornice. Manufacture supply and fitting. The Cornice Direct Showroom and factory is located in Ramsgate in Kent, perfectly located for supplying Kent, London, UK and Europe. Copyright © 2019 Cornice Direct. All Rights Reserved.